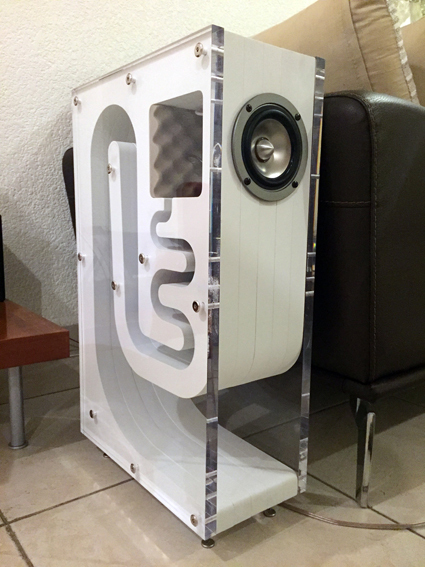 Backloaded Horn Speaker has a full-range speaker driver. 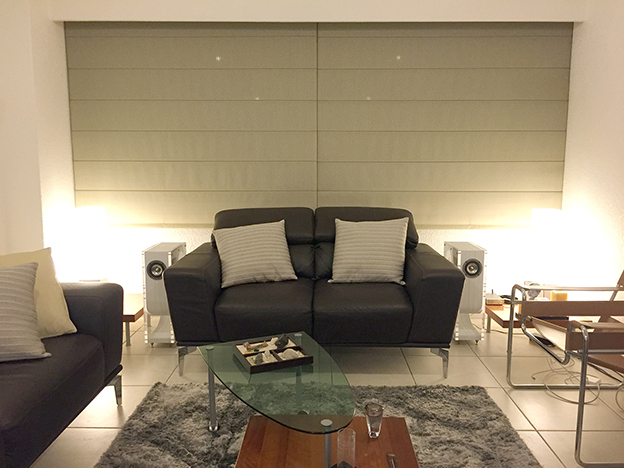 A full-range speaker driver is the ideal because it moves a lightweight diaphragm with strong magnetic circuit. 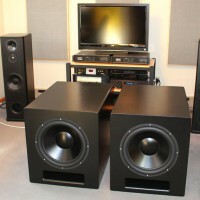 However it doesn’t play a practical bass if you mount it on the general enclosures, like closed-box and bass-reflex. 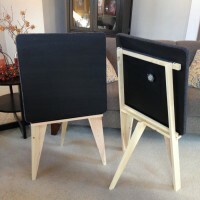 However they are able to derive a satisfactory bass through the long horn from back side sound of the full-range speaker driver by back loaded horn enclosure. 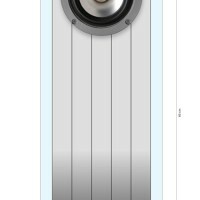 A full-range speaker driver hasn’t crossover network unlike 2-way or 3-way speakers; it hasn’t any circuit elements such as capacitors, coils and resistors/attenuators. So, it expresses the sound source more real and the sound quality is completely unaffected by the network and the resistors/attenuators. 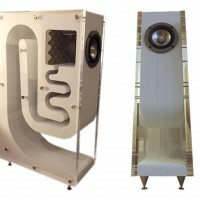 Consequently, the backloaded horn enclosure is able to derive its full ability from the ideal speaker driver. 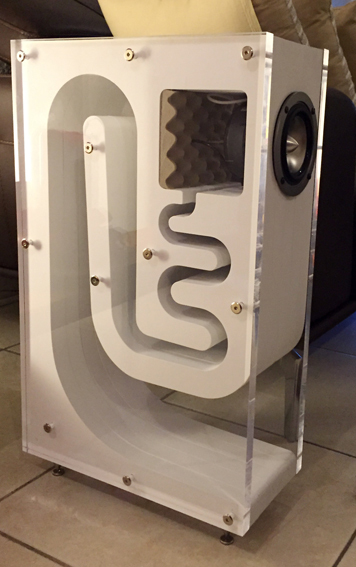 Therefore, backloaded horn enclosure provides big speakers-like bass and volume level even small speakers. One of the things it is highly-efficient system. In other words, it has a high output sound pressure level; the backloaded horn system is an energy-efficient design. 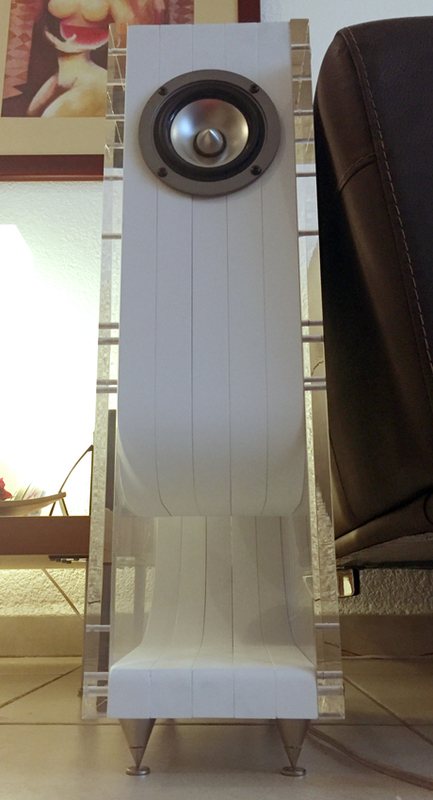 So it allows the driving by low-power amplifier, too. 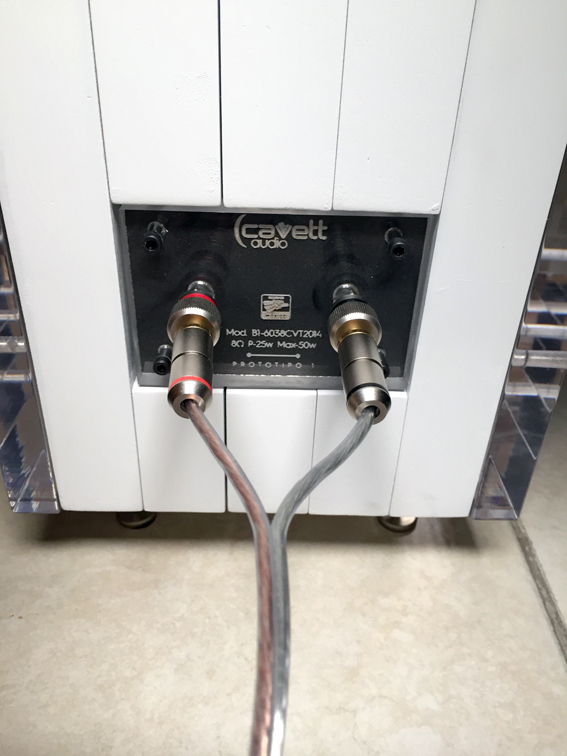 Low-power amplifier is good from the point of view of sensitive sound. 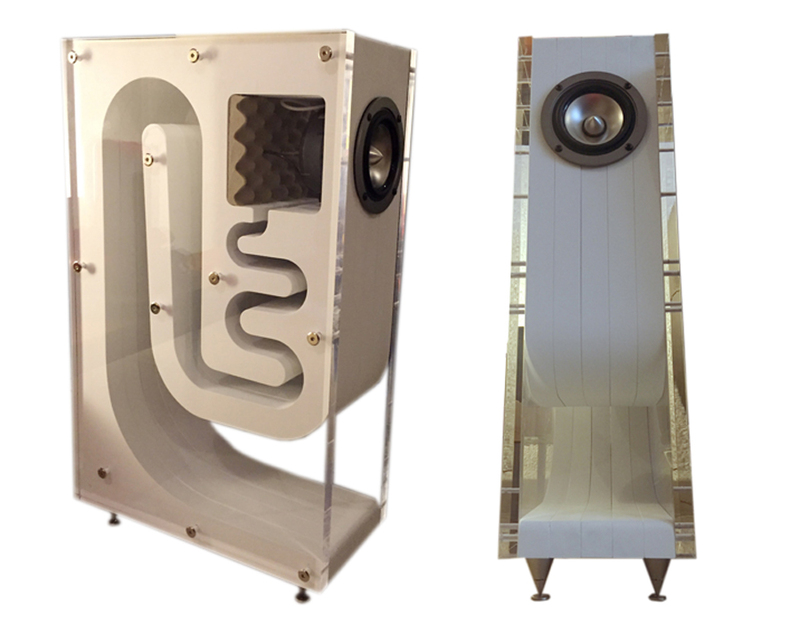 The design points for backloaded horn enclosure are the cubic capacity of an air chamber, the cross-sectional area of its throat, the horn flare rate, the horn length and the horn-opening area. Fold up the horn and crate it. It plays the fine sounds because the driver diaphragm can move easily by backward opening of the speaker driver, like open back type cabinet. So, it plays the realistic sound with overwhelming high quality if its sound source is good, but that’s not how it works if its sound source is poor. Therefore, maybe have trouble finding a good sound source. 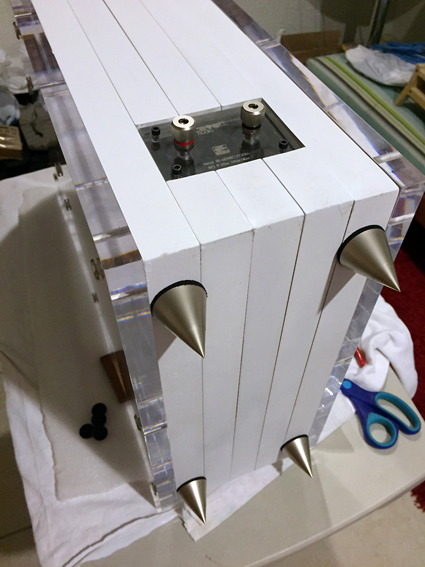 The assembly was made with stainless steel screws and side panels in brushed acrylic 18 mm, it was more complicated because the painting process had to be sanded to a smooth surface. MDF 30 mm CNC Cutting. 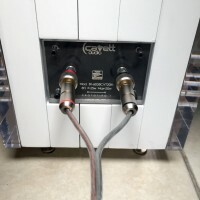 At the moment I have running a LP7498e Lepai amplifier which has given me good service, but I think you can hear even better with another type of amplifier which’m finding a Rotel RCX-1500 could be used or one Arcam, Marantz or Parasound of the most recent models. I doubt some Chinese bulbs amplifiers. Since I was a kid I liked everything about the reproduction of sound and music, mainly jazz, classical, some progressive rock, Mexican classical music and all that they have broad ranges reproduction. 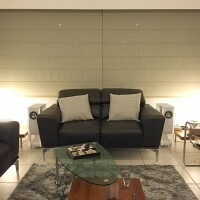 First I did some facilities in three cars I had but to evolve systems in cars and having to sell to be updated was decreasing my intervention in these and decided to start putting together a system for home, if no Hi-Fi and Hi-End if something to hear some pleasure and quality. Although he knew the operation and construction of the sealed baffles, vented and bandpass, found at the site of Fostex that the most efficient system for home small speakers was the Exponential Curved Backloaded Horn Speaker for their ability to enhance the frequencies still serious with a small speaker in a relatively small room. 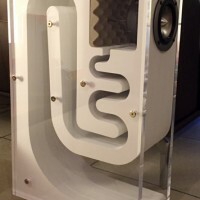 Searching the internet I came to the site TelaVox who have several years developing this concept being the precursor Mr. Tetsuo Nagaoka and now marketed by Hasehiro Audio. 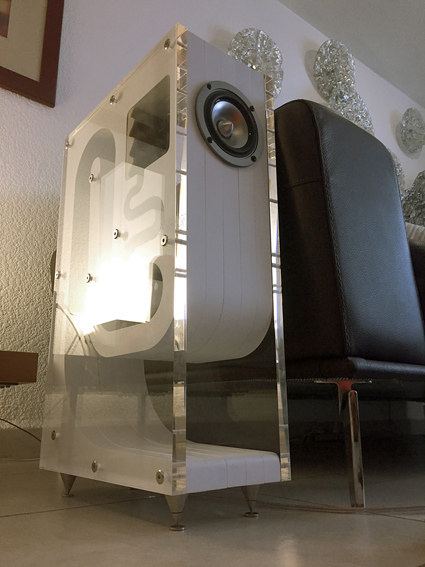 Unfortunately, in Mexico there are no distributors or manufacturers similar to these speakers so I decided to build it myself. 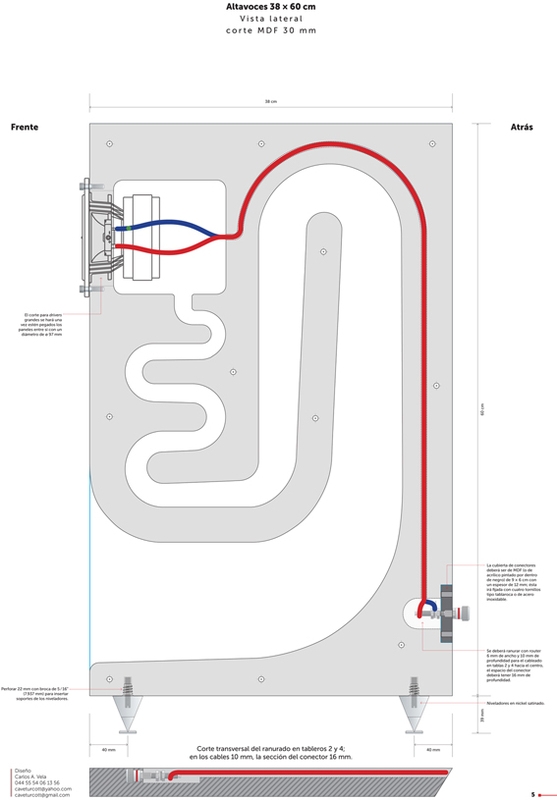 With some knowledge of design and manufacturing I started making the first drawings in InDesign and was polishing, imagining the measures he wanted. 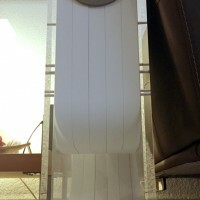 I decided on a measure 60 cm high and 38 deep and 20 cm wide. I researched a workshop that would make me cut on a CNC router, I prepared my files in Illustrator and finally took him out. Dayton Audio DSS4-SN Satin Nickel Speaker Spike Set 4 Pcs. 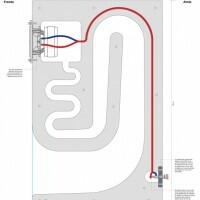 You should really try the contour network I used in the 3CR-Ti project. The 1337 has a ringing due to the aluminum cone material (Literally rings like a bell at a very high frequency when excited), and this network fixes this and allows for some baffle step compensation as well. Amazing work! Just beautiful! Bravo! These I like – a lot! Very innovative, modern looking. 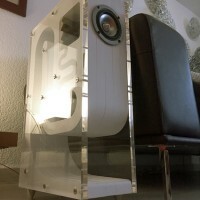 I wonder how they sound with the acrylic sides. 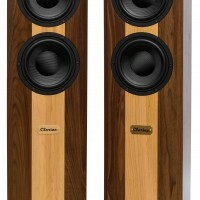 I would love to build a pair of these using the Tang Band 4″ 1879’S. WELL DONE! You did a amazing job. 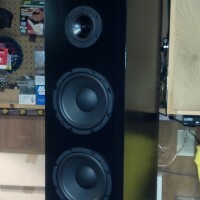 If those speakers sound as good as they look you hit a home run. They look phenomenal. I was wondering if you by chance had the specs of the horn available? I would love to replicate these for my bedroom. How did you calculate the size and length of the horn section? 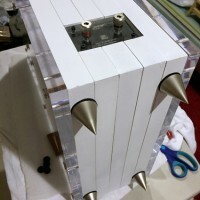 I’ve been very interested in building a set of back loaded horns my self. Great job! Beautiful work, Can you share the plans? These are simply wonderful and get my construction juices flowing – where can I find the plans or a kit? Excellent build – just what I want to do. Please post more details and plans. 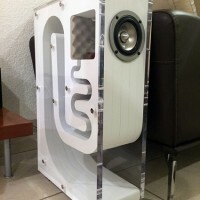 I am really interested to build this speaker on my own. I would really appreciate it if you post me more details about the sound and the plans to my email. Thank you very much. These are beauties. Would you please share the plans with me? Very nice work! Could you please share the plans.